Travelling to London for BTS’ second sold-out show at the O2 Arena was nothing short of a dream for me as a long-time fan. The day, however, filled with every obstacle a person could ever face - from accidents, to traffic delays, to ticketing issues - put a damper on my mood. But the minute I stepped into the arena teeming with people who loved the band just as much as me; a mood of euphoric joy took over me and I knew it was going to be a good night. With screens playing the band’s popular music videos, fans seemed ready to welcome the septet with their waving ARMY bombs (aka dome-shaped light sticks) in hand. Then came the much-awaited moment where the band took the stage, to a sea of excited chants and screams. Following an address by each member - in broken, endearing English - they start off with latest release ‘IDOL’ - from Love Yourself: Answer, which charted No 1 on Billboard; the band’s second time. This is followed by an old gem ‘Save Me’ and then the newer counterpart ‘I’m Fine’. They address the crowd again, urging their ARMYs to enjoy the concert, and get an enthusiastic assurance in return, despite the unfortunate heel injury of member Jungkook, which put him out of commission choreography-wise for both shows. But this did not deter the band’s seamless performance skills as the six remaining members filled in, while the youngest member delivered flawless vocals seated to the side. Then comes ‘Magic Shop’ before a break which filled by a fun-loving VCR featuring J-hope and Jungkook. These VCR’s featuring different members make an appearance throughout the two-hour 30-minute show. Moving forward, comes the first solo performance of the night by J-Hope with funky hip-hop track Trivia 起: Just Dance, followed by Jungkook’s soulful solo ‘Euphoria’. 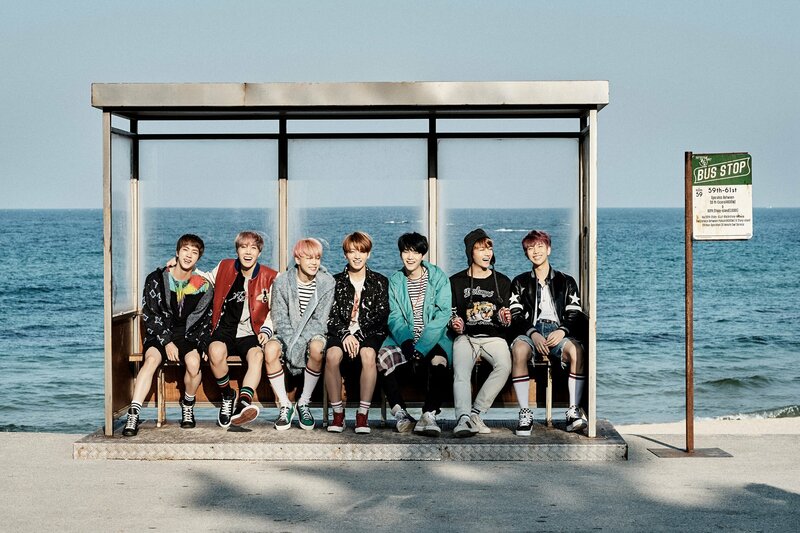 Interspersed among these fresher songs, comes throwbacks in the form of ‘I Need U’, ‘Run’, and ‘Danger’. A mashup of songs ‘Dope’, ‘Go Go’, ‘Blood Sweat & Tears’, ‘Boy in Luv’ and ‘Fire’ send the crowd (and this writer!) into a nostalgic frenzy. Other tracks performed include ‘Silver Spoon’ and ‘Boyz with Fun’- two songs that serve to pump up the hoard of fans. Then comes another round of solos, this time from Jimin, with ‘Serendipity’ and RM’s 'Trivia 承: Love'. Tracks from Love Yourself: Her - their first of the acclaimed Love Yourself series - make an appearance with ‘DNA’ and ‘21 st Century Girl’. They continue the power packed performance with ‘Airplane pt.2 ‘and ‘FAKE LOVE ‘, before moving into ‘Singularity’, V’s solo, and Suga’s ‘'Trivia 轉: Seesaw', before moving into the final solo performance – ‘Epiphany’- by Jin. The vocal line then moves the crowd with their performance of ‘The Truth Untold’, before the rap line deliver fierce track ‘Tear’. The end approaches with ‘Mic Drop (Steve Aoki Remix)’. But it’s not over yet. The band comes back for an encore stage - what they call ARMY TIME - and perform ‘So What’ and ‘Anpanman’. They give a closing address to their loving fans - a mix of Korean and English - which I’m not ashamed to admit moved me, especially Jungkook’s apology for his injury. Finally, the real end, that no one wanted, comes with ‘Answer: Love Myself’. What I see at the end of these two hours that went by in a flash are seven members who adore their fans, and fans whose adulation for their idols brought them to where they are today. The arena is filled with an atmosphere of absolute happiness, from both sides, and I leave feeling lighter and fresher despite the late hour and the impending train journey back home.